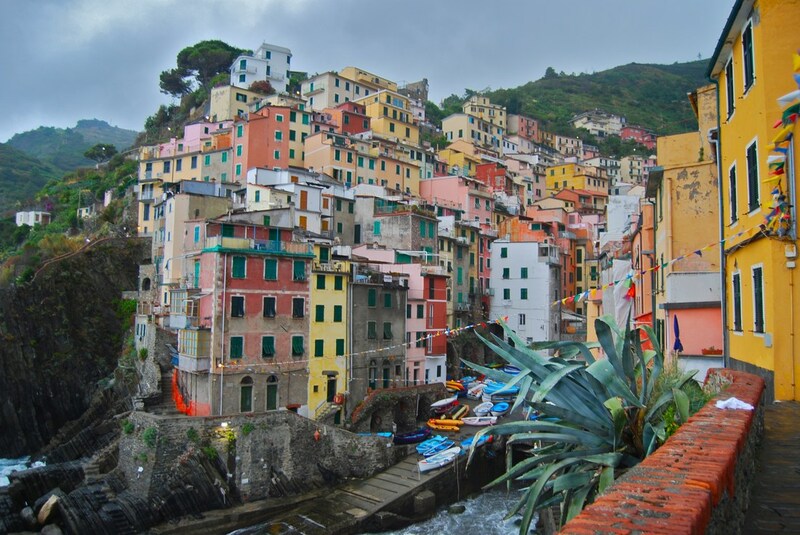 When you stay with us in Riomaggiore, we'll load you with local tips, so that you can make the most of your time in the Cinque Terre. 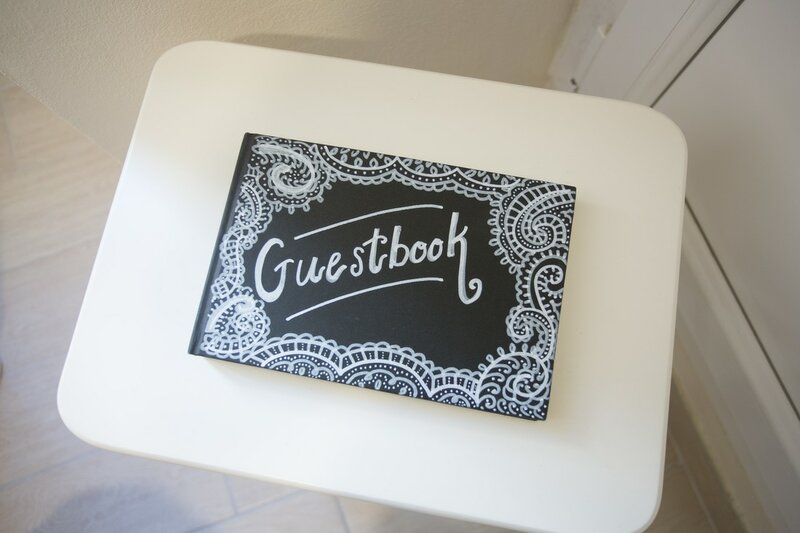 We'll connect you with private guides and tours and set you up with restaurant reservations. 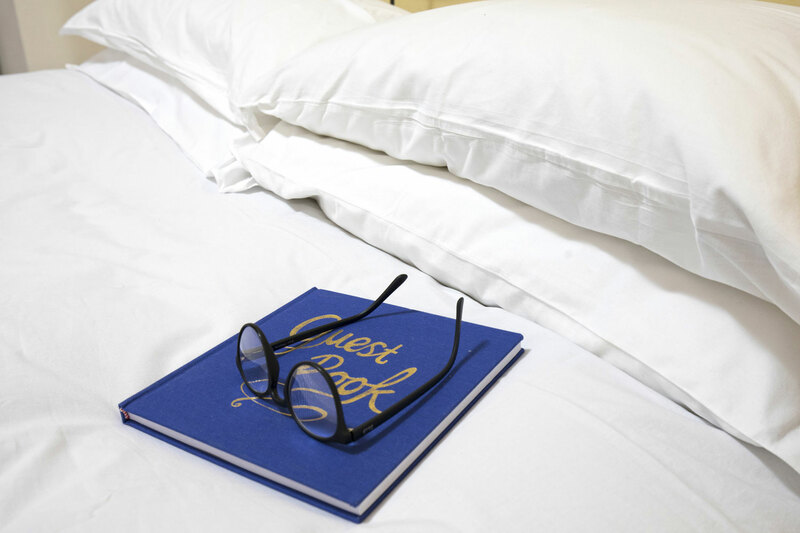 Upon request, we'll create a personalized itinerary based on your interests and duration of stay. 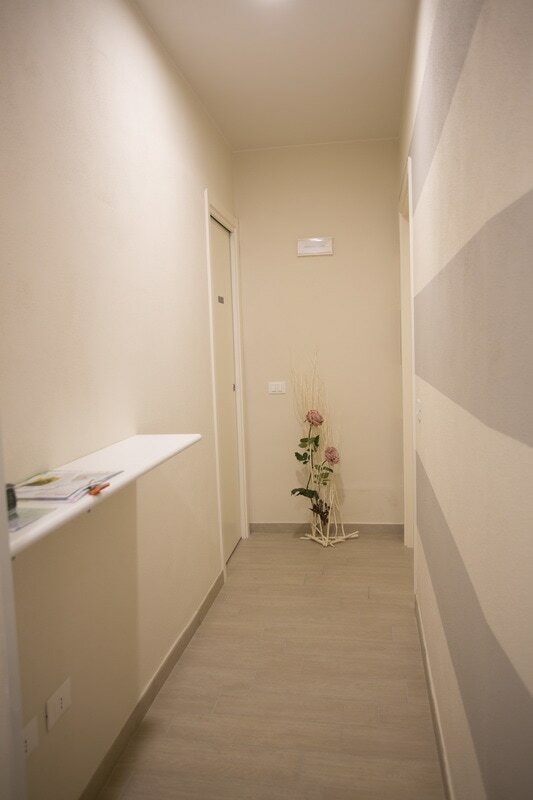 We'll come and meet you on your day of arrival. 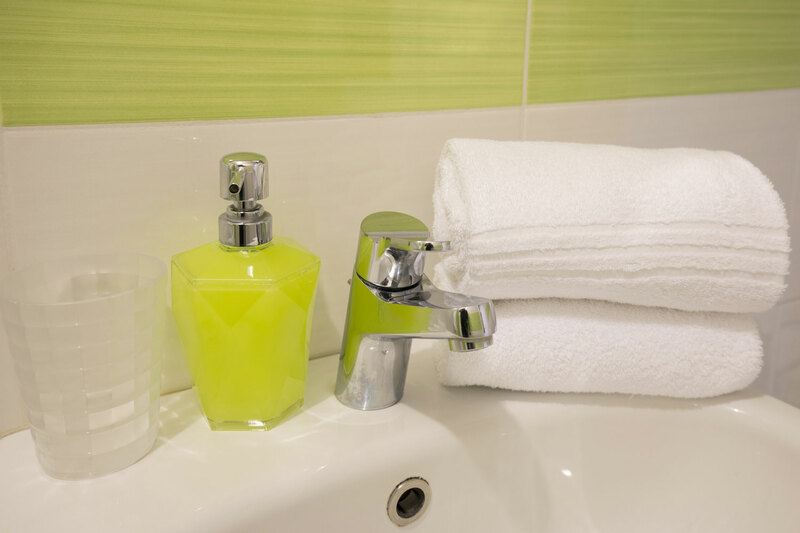 We'll get you in on any events and explain everything you need to know for your stay. 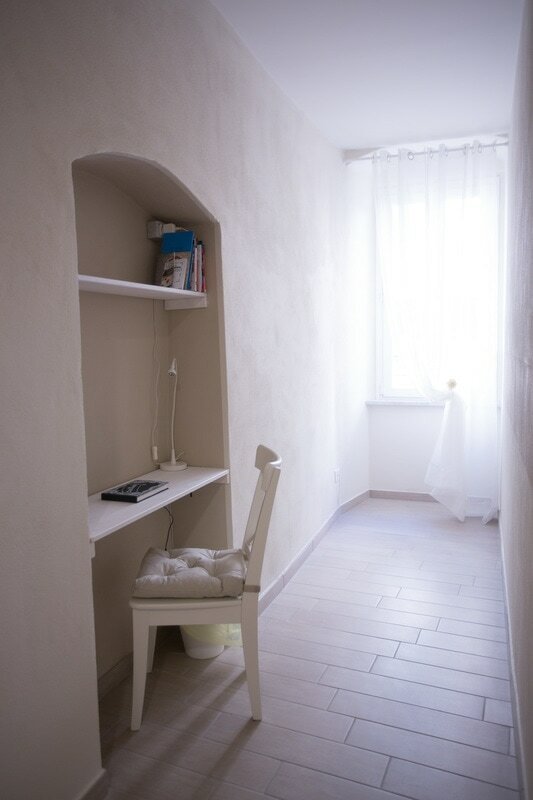 And once you've settled in, we're just a call away - if there's something we can't solve over the phone, we'll pop over to lend a hand! 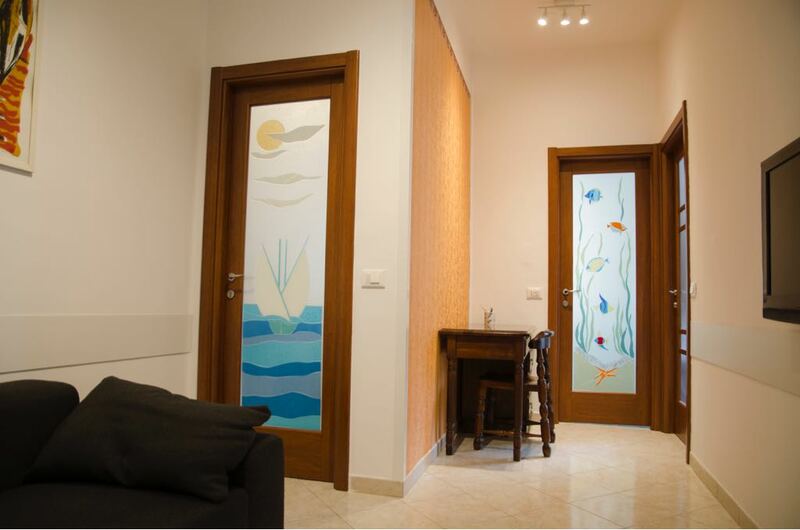 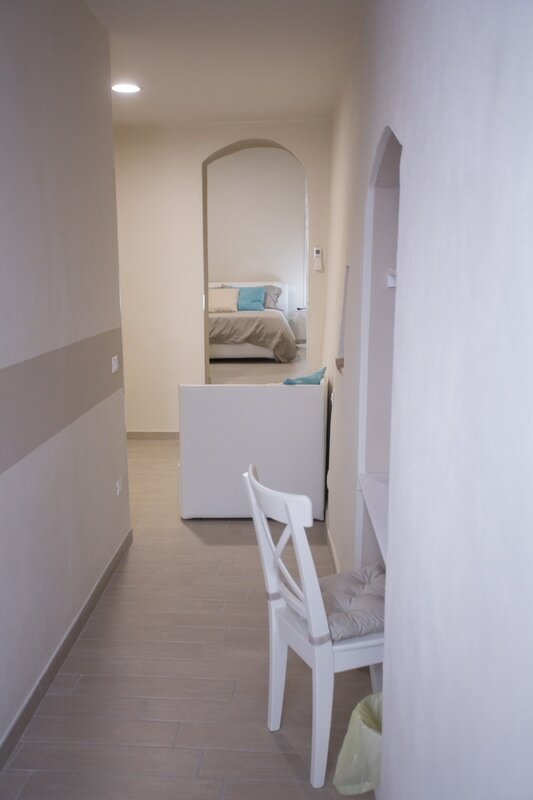 GRAMSCI 31 is a mid-1800s apartment that has been lovingly restored in 2014 as a modern coastal hideaway. 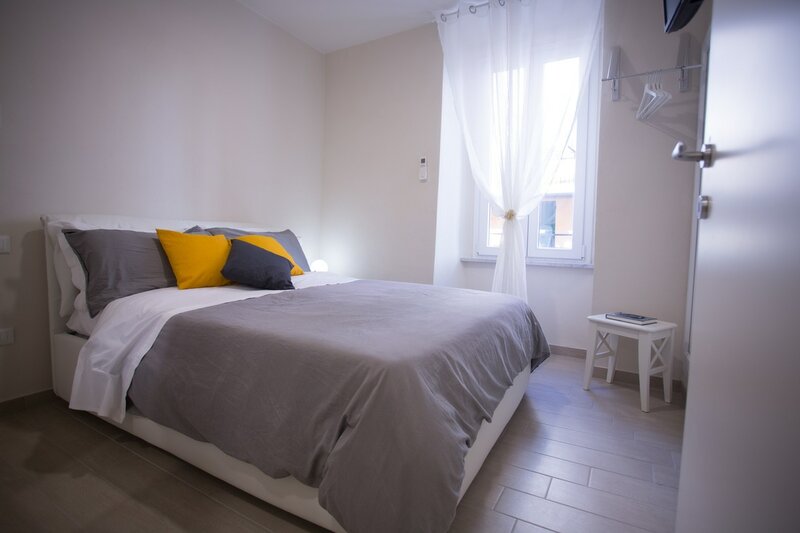 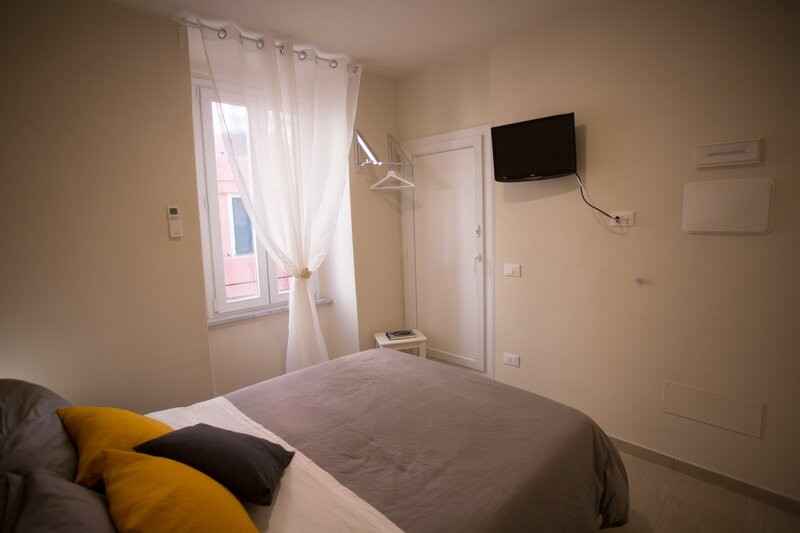 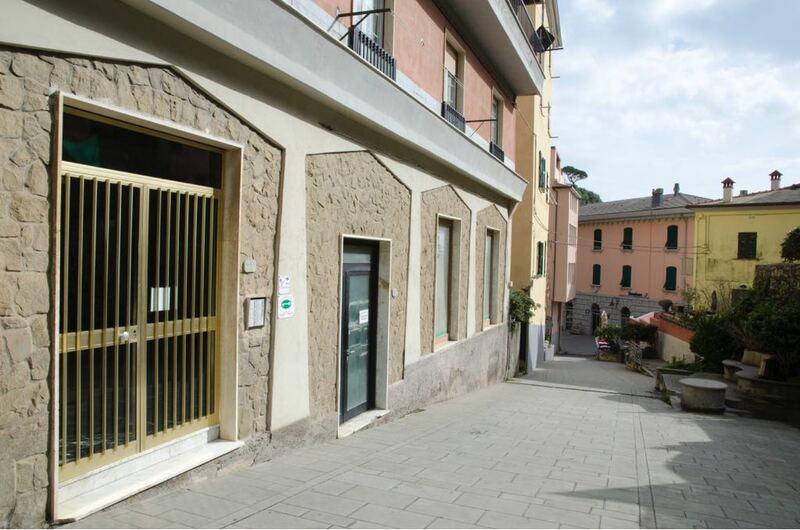 This pale yellow building is nestled in a peaceful carugio (alleyway) off via Colombo – yet is still in the heart of the historic seaside town, only a few steps from restaurants, shops and a stone throw away to the beach. 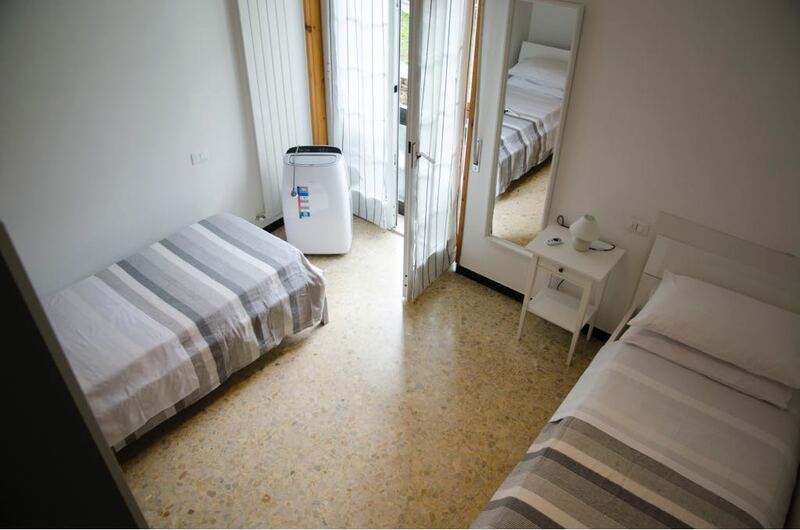 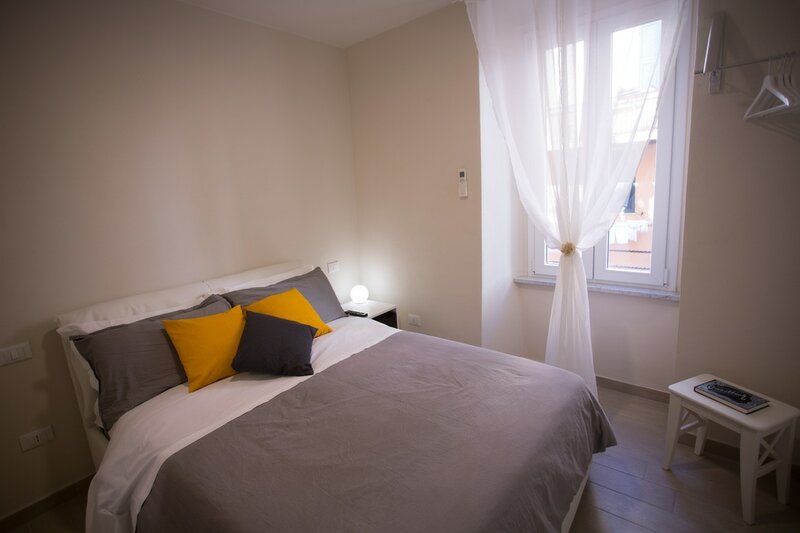 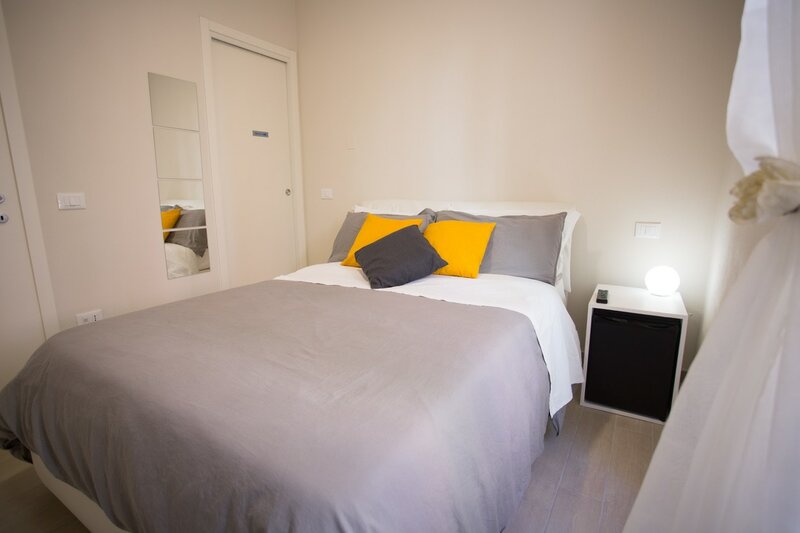 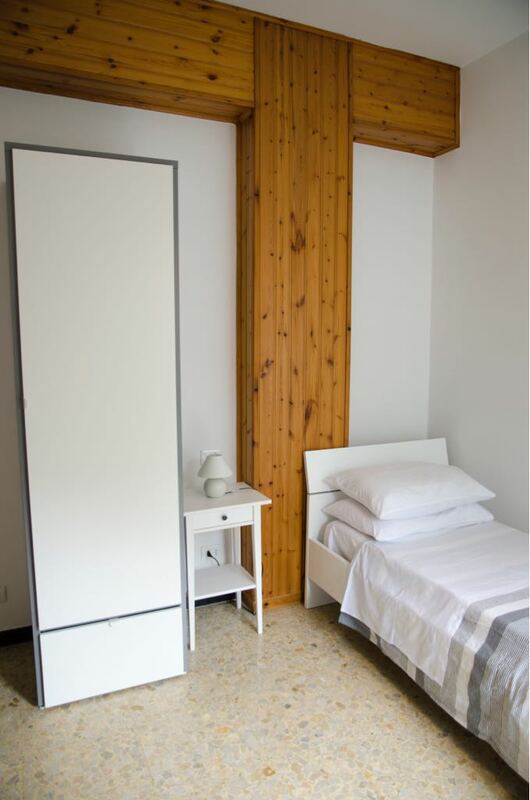 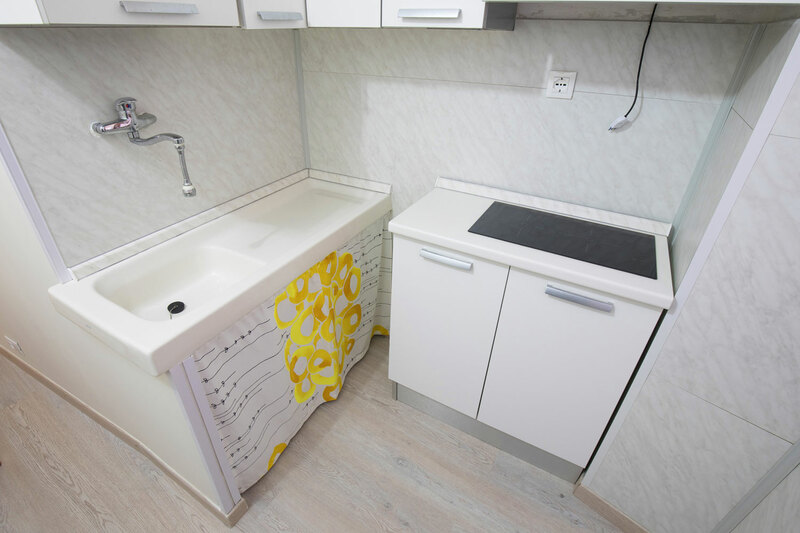 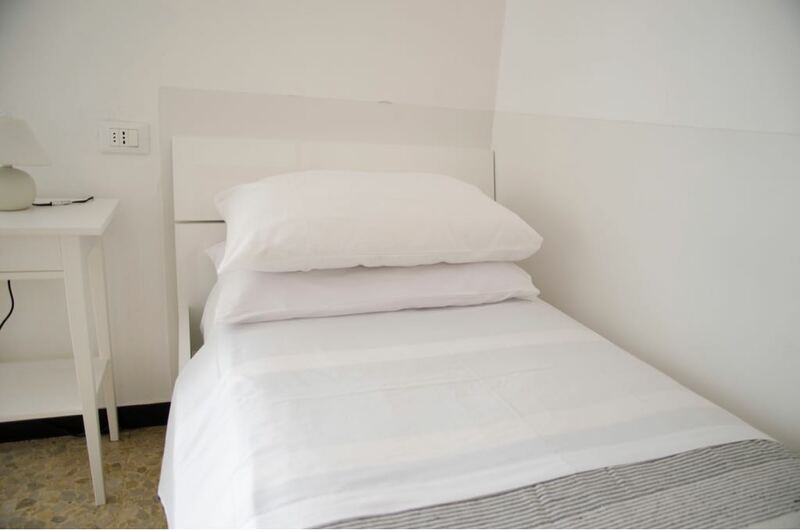 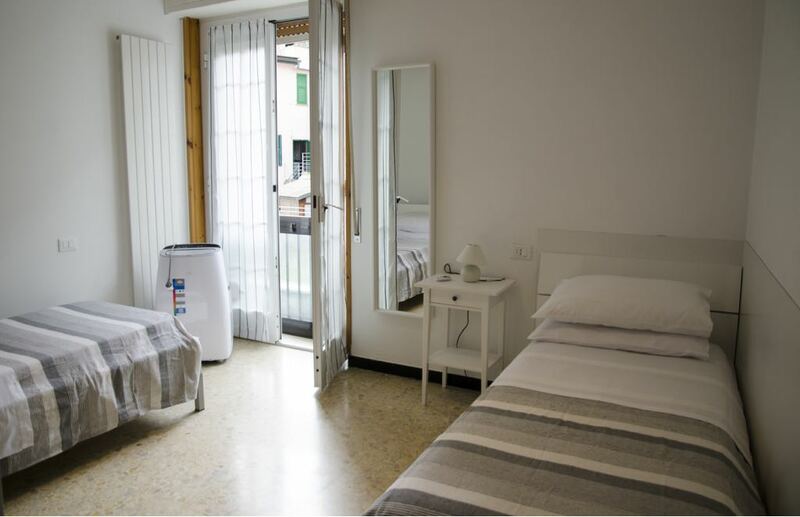 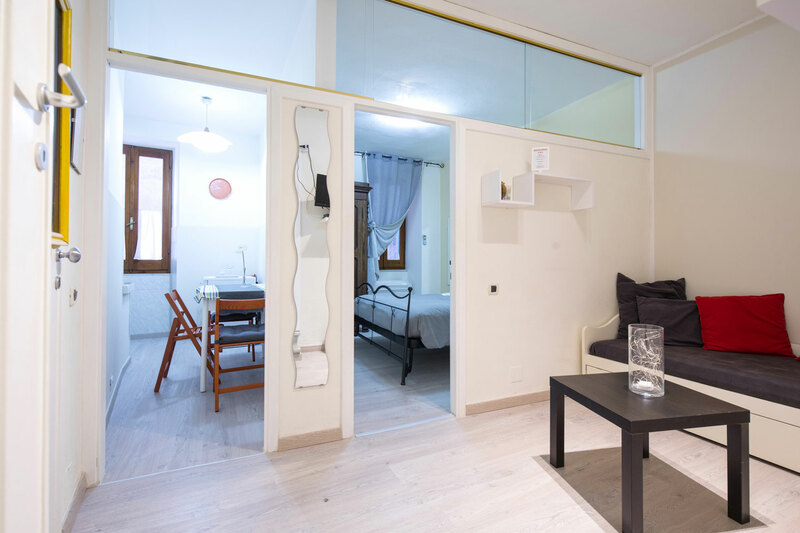 Gramsci 31 consists of 1 bedroom, a kitchenette and a stylish comfortable living space for guests to relax, blending vintage Italian furniture with modern tones. 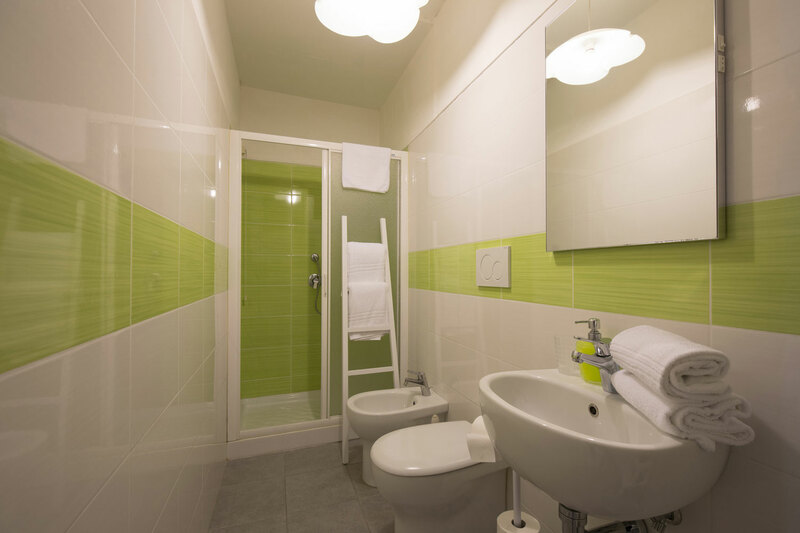 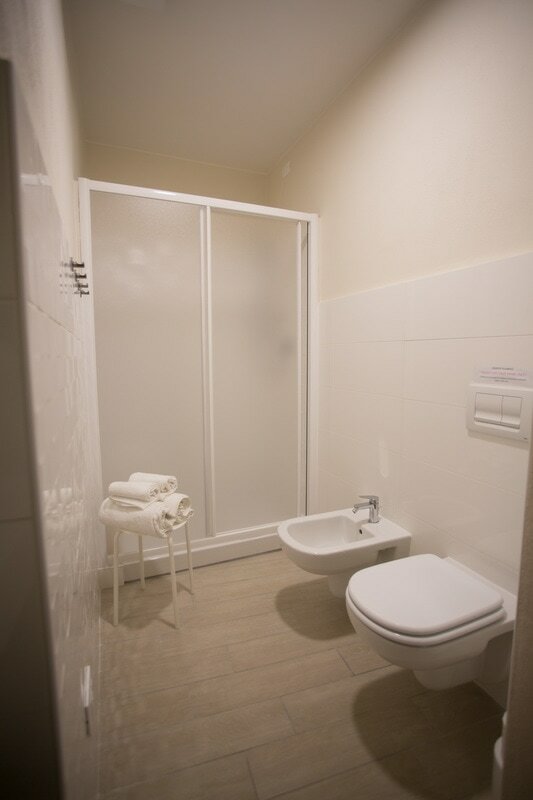 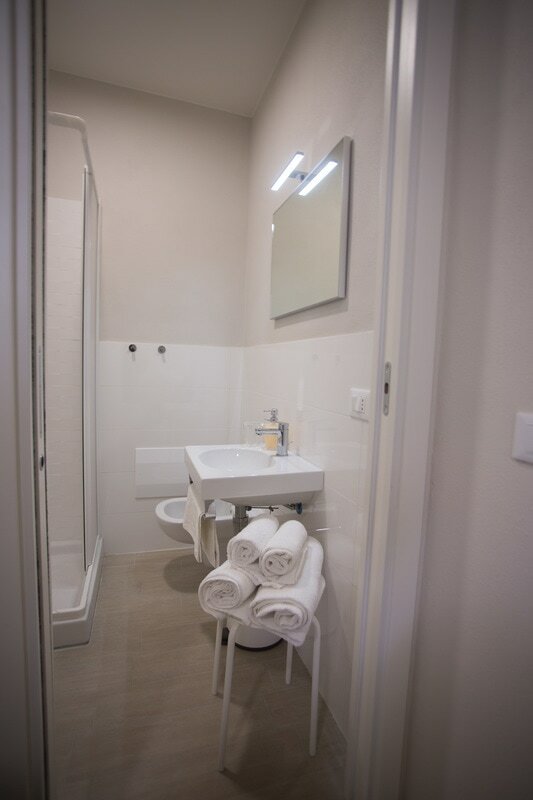 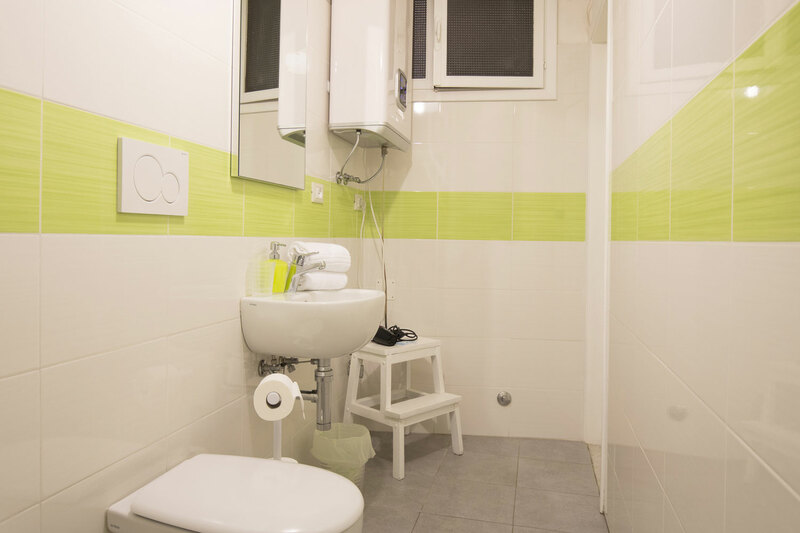 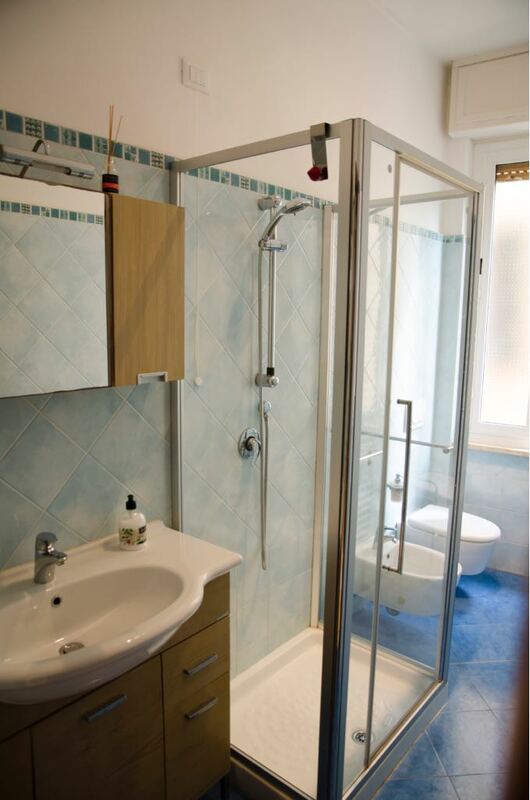 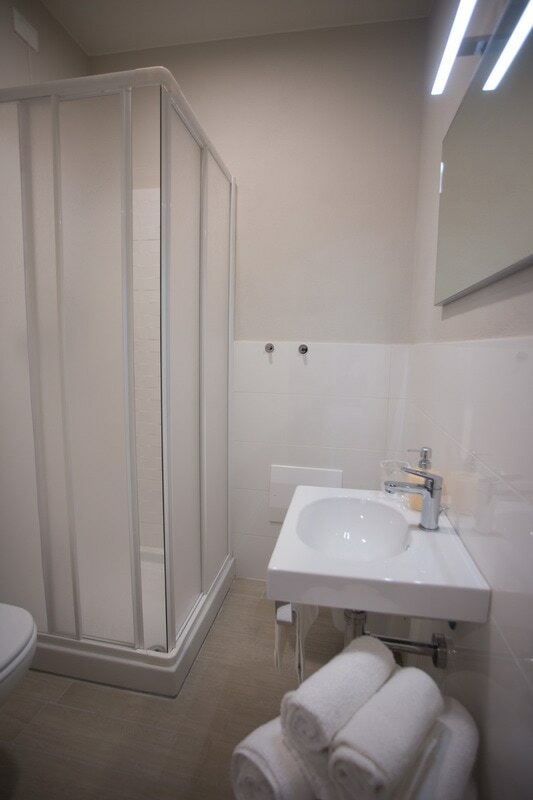 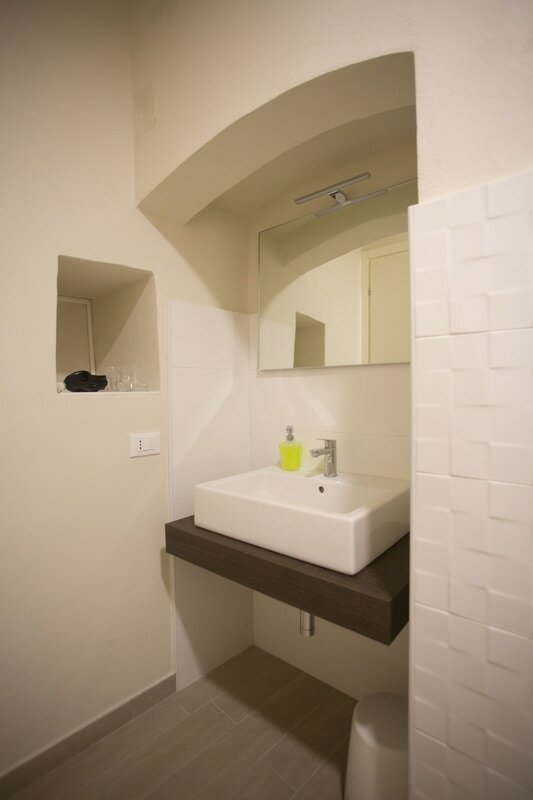 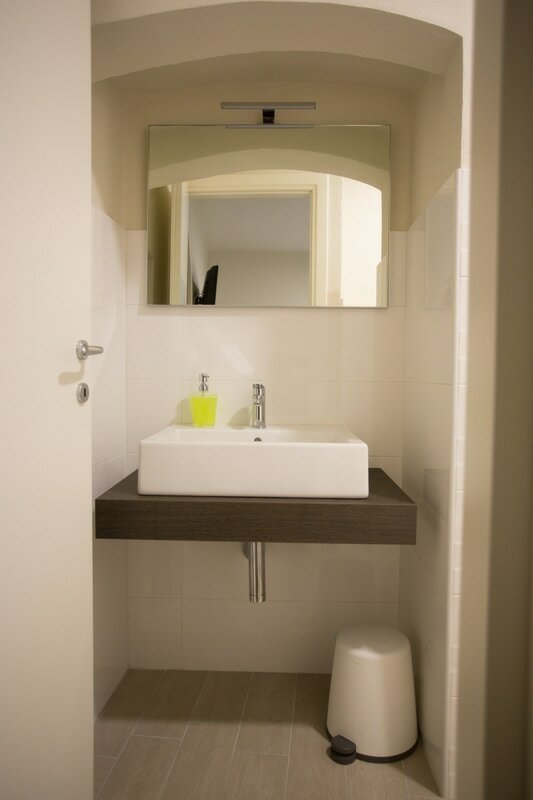 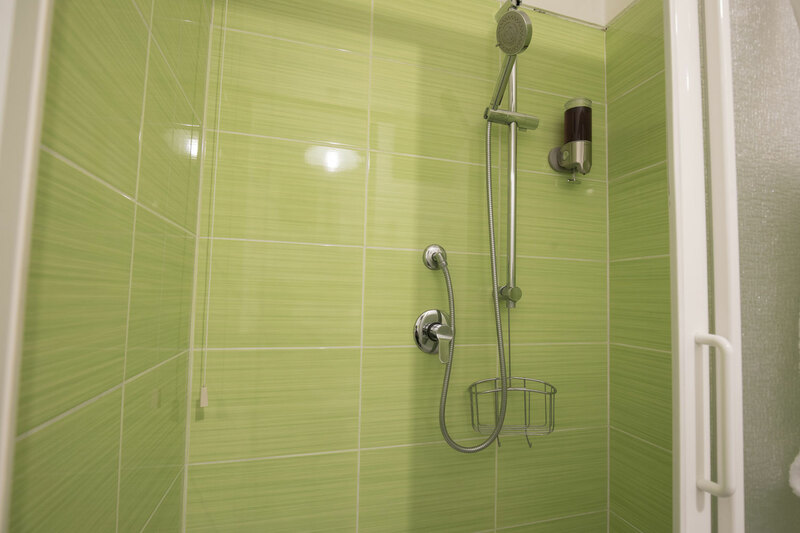 The bathroom was designed to compliment the bedroom with a clean, vibrant color. 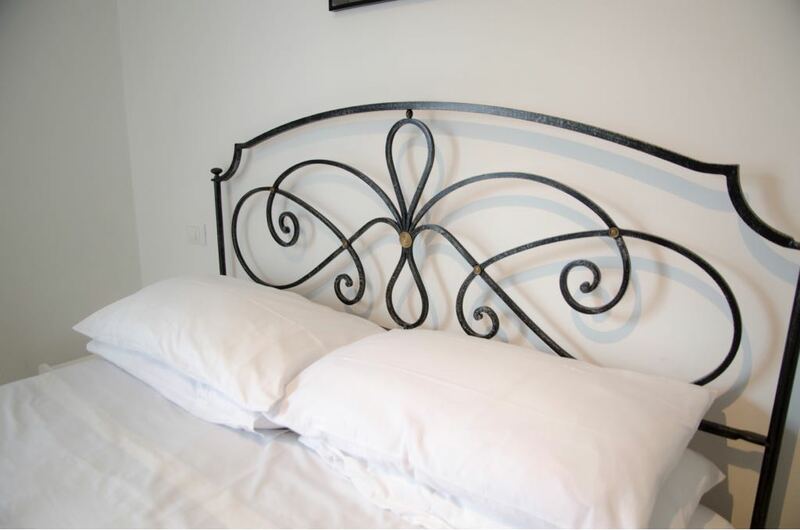 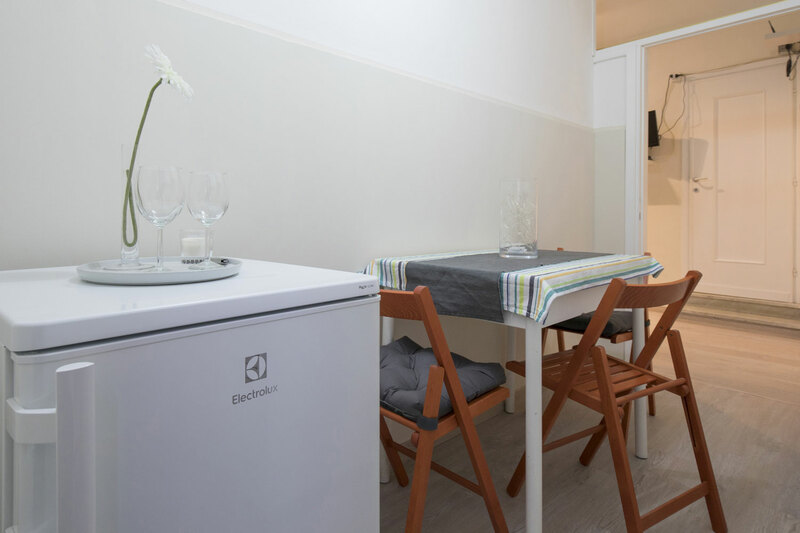 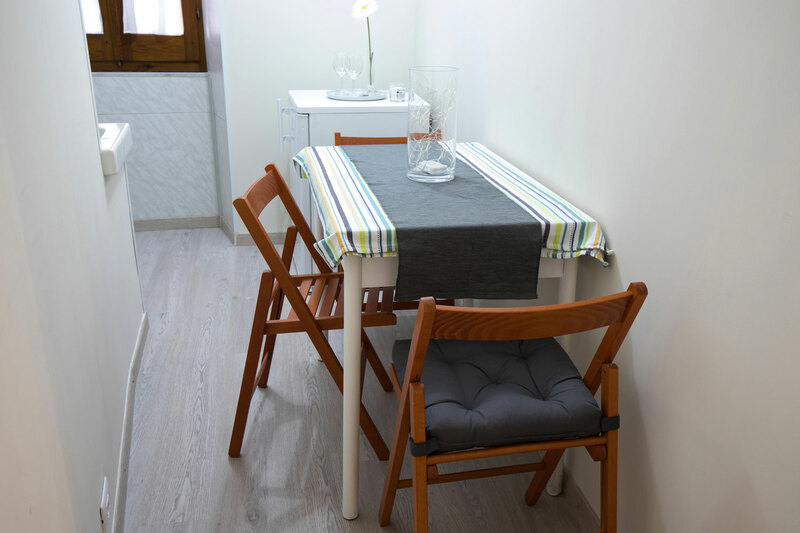 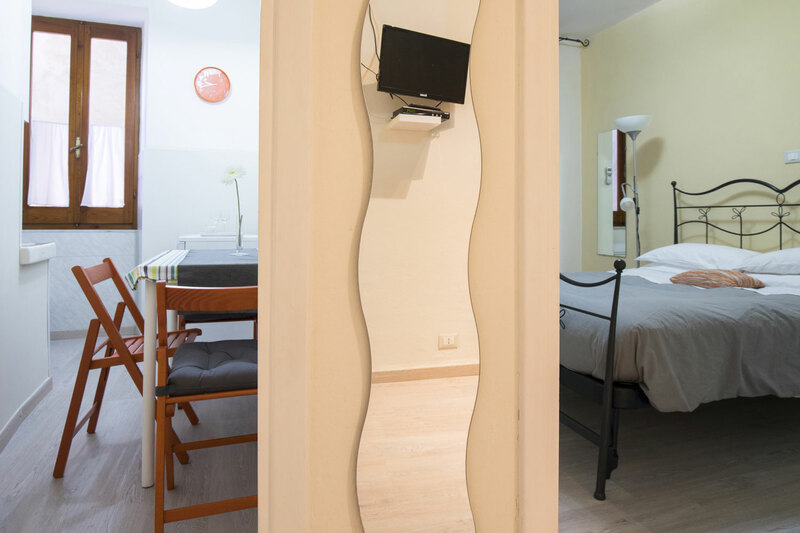 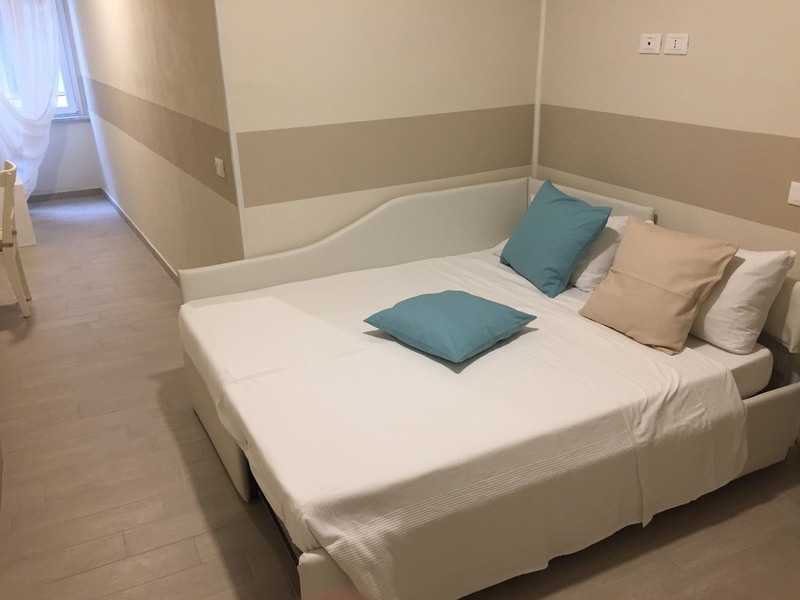 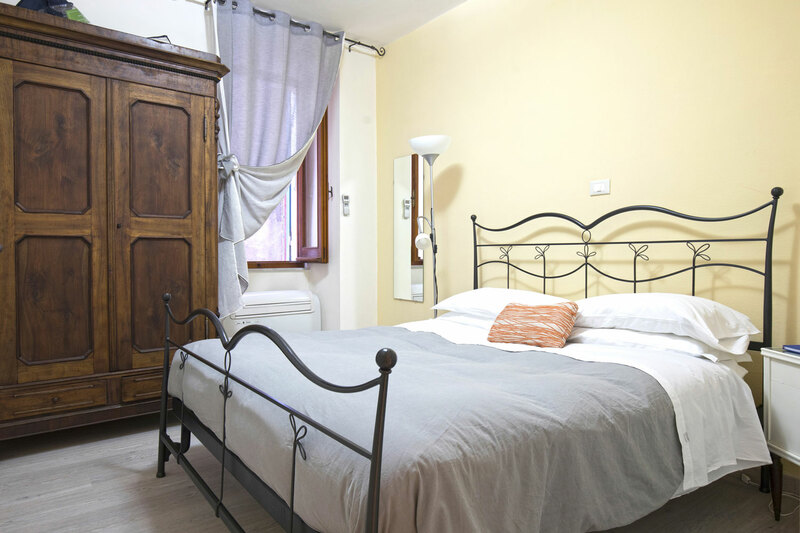 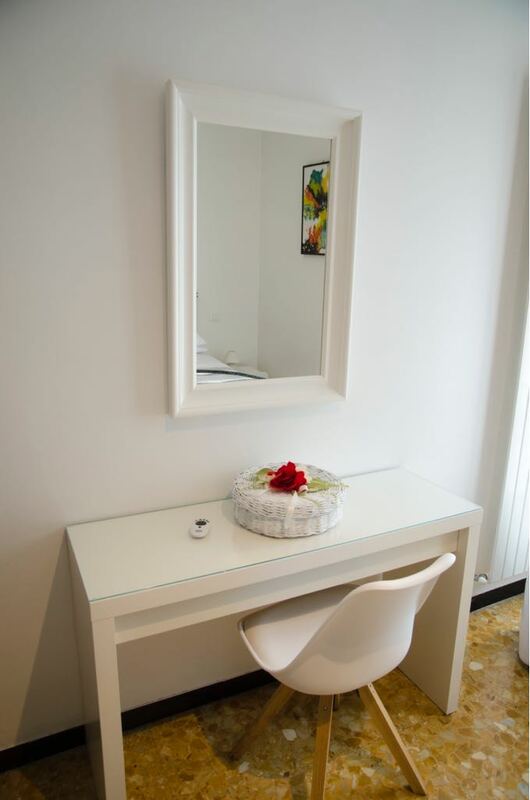 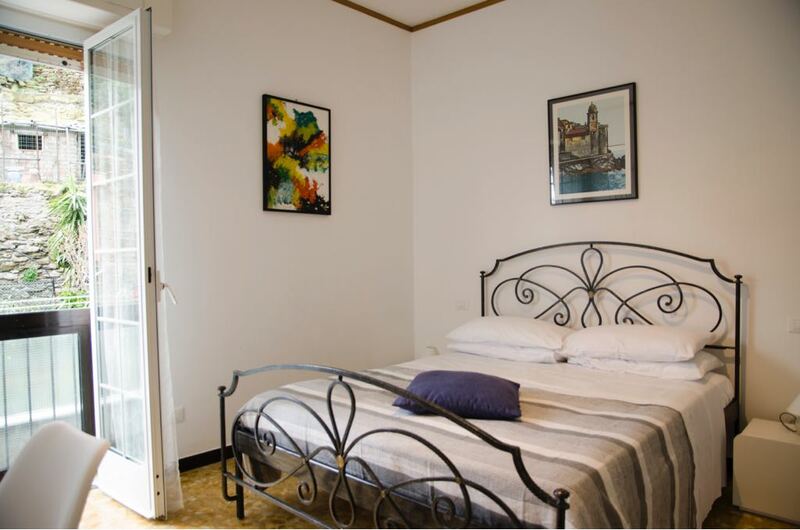 Our apartment is both family-friendly and a romantic retreat – a perfect place from which to discover Riomaggiore and explore the Ligurian coast. 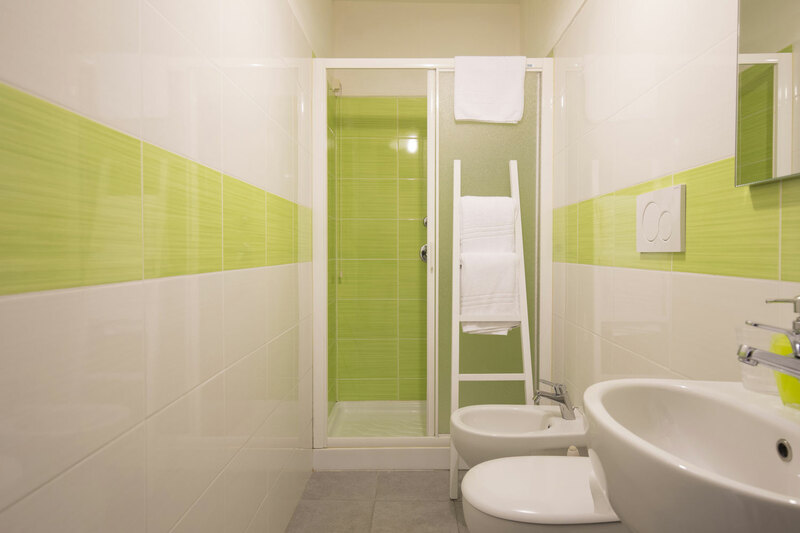 Splashes of bright colors, contemporary furnishings, all in a cozy room. 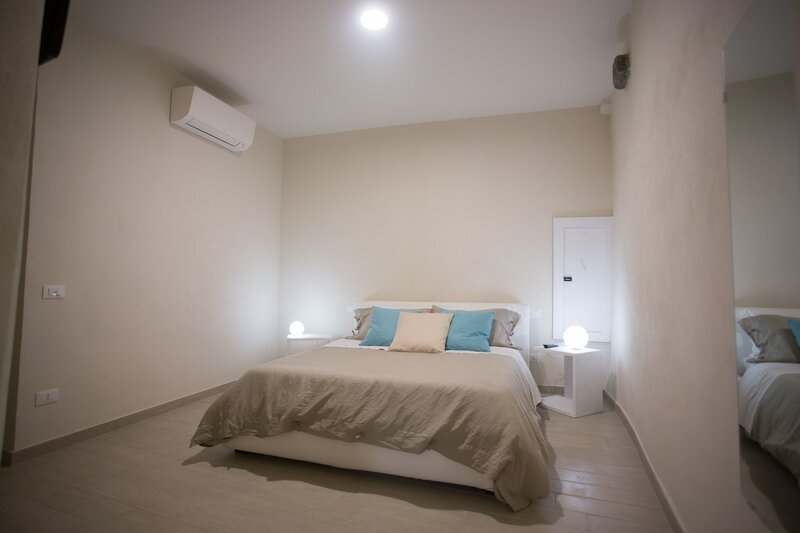 Located on the famous via Colombo, close to most restaurants and cafes in town and you’re just a one-minute walk to the sea and three minutes to the train station. 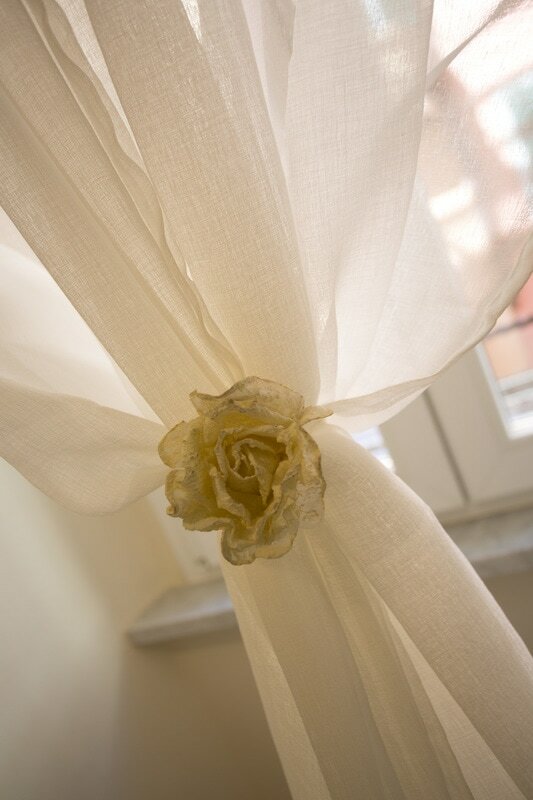 J&K SUITE is a mix of classical and contemporary art. 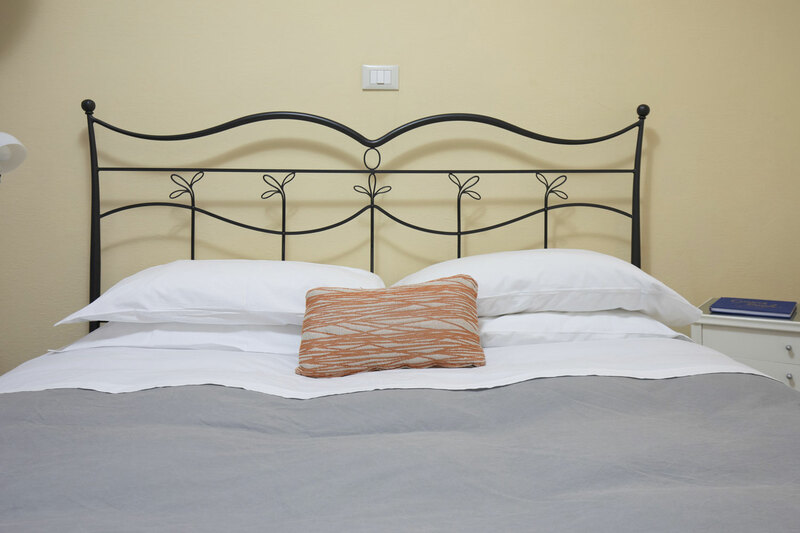 Enter a white sofa bed, which opens into a double bed to accommodate more guests. 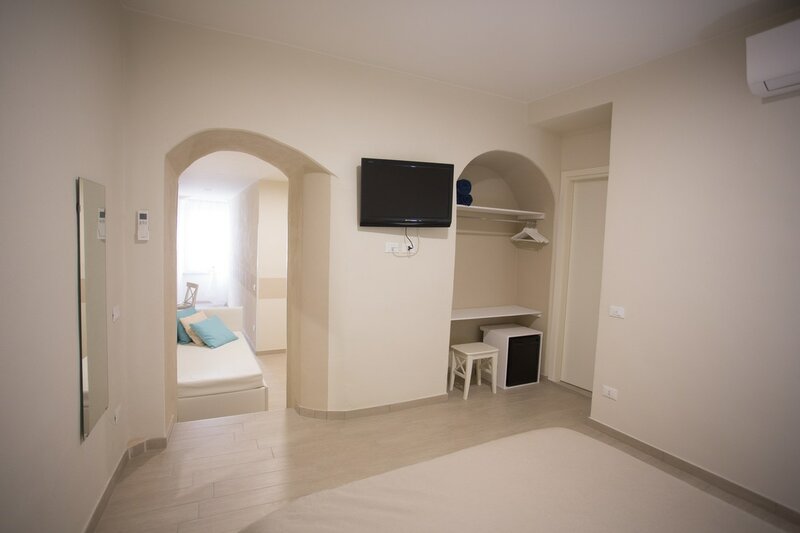 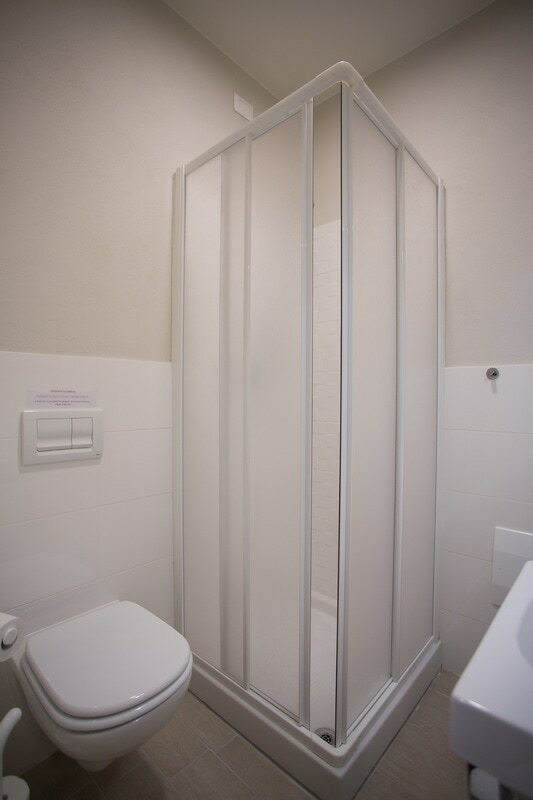 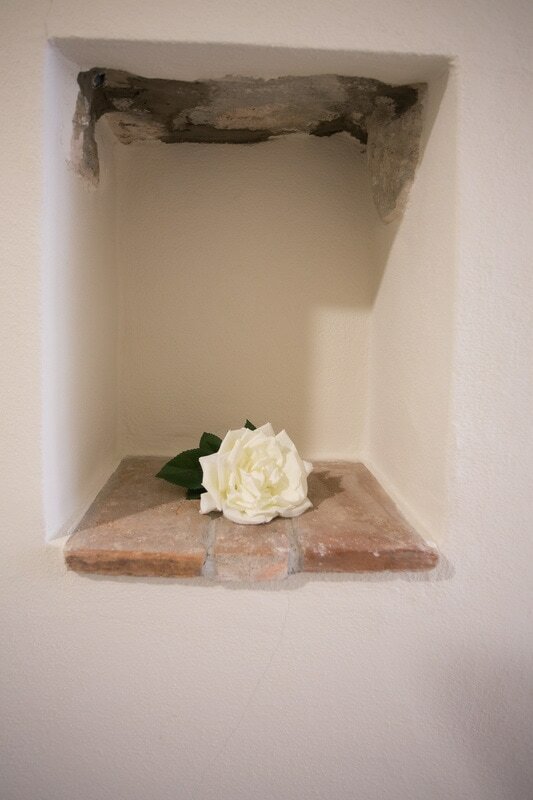 On the left, under a small arch, there is another double bed and a private bathroom. 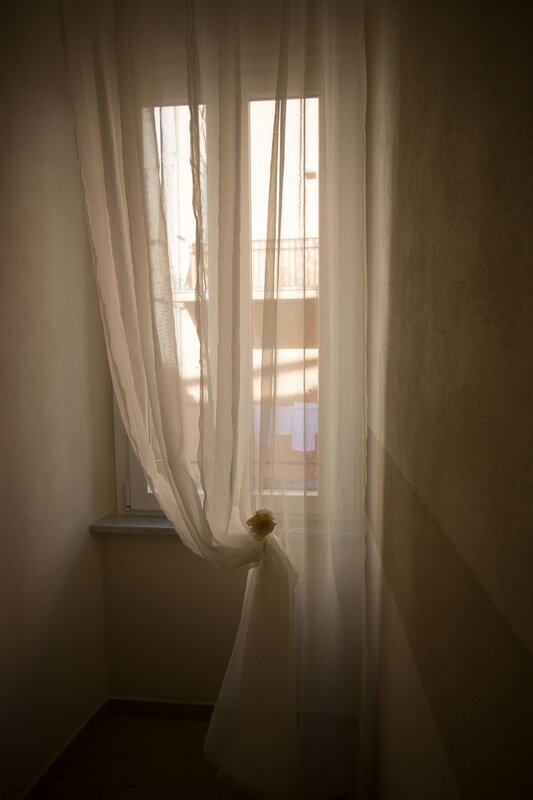 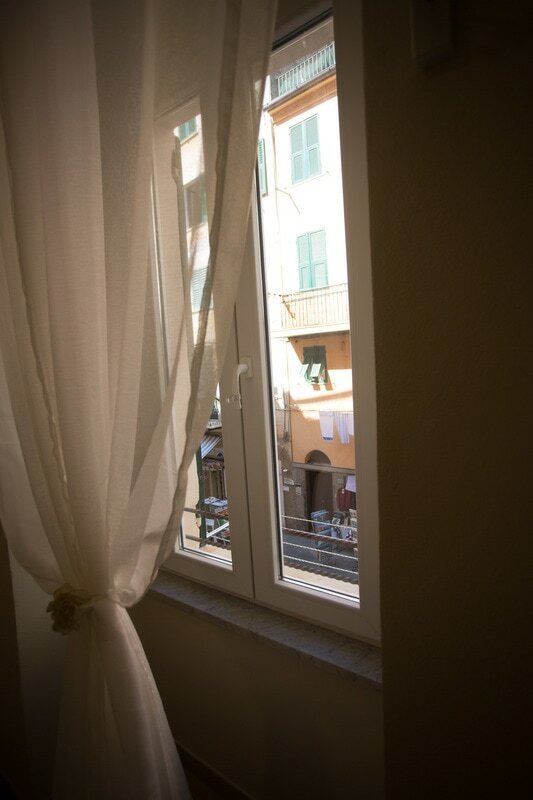 And the window on the opposite side of the room opens onto the bright colors of the Cinque Terre. 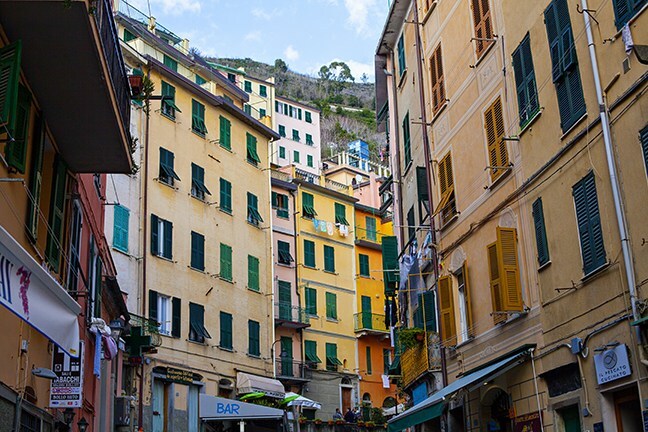 Cafes and markets are all nearby, with the beach just steps away. 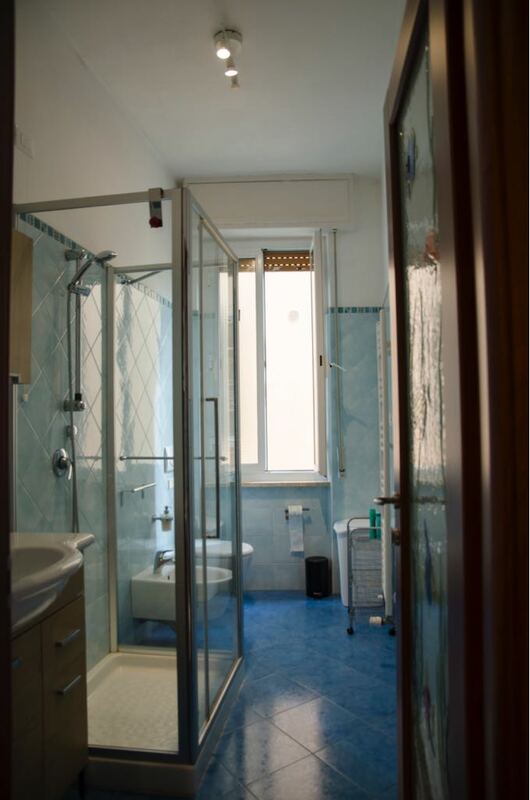 Kitchen, WiFi, air conditioning (in every room), double pane windows, linens and towels included. 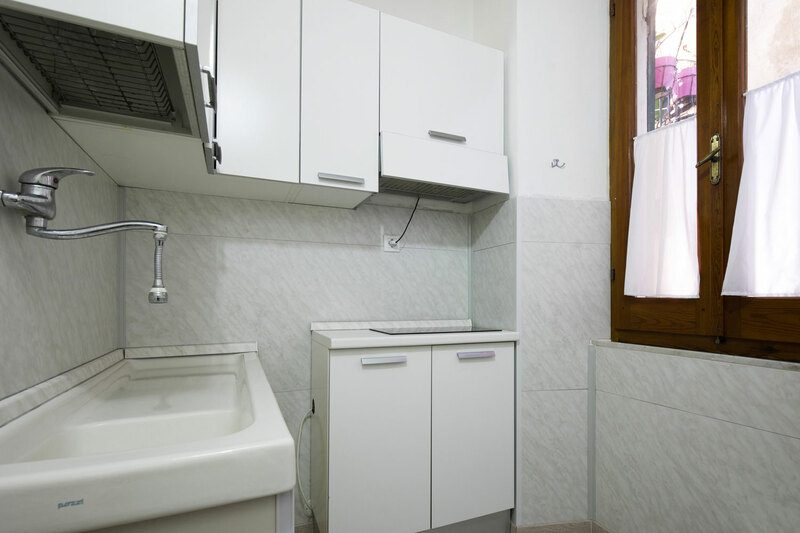 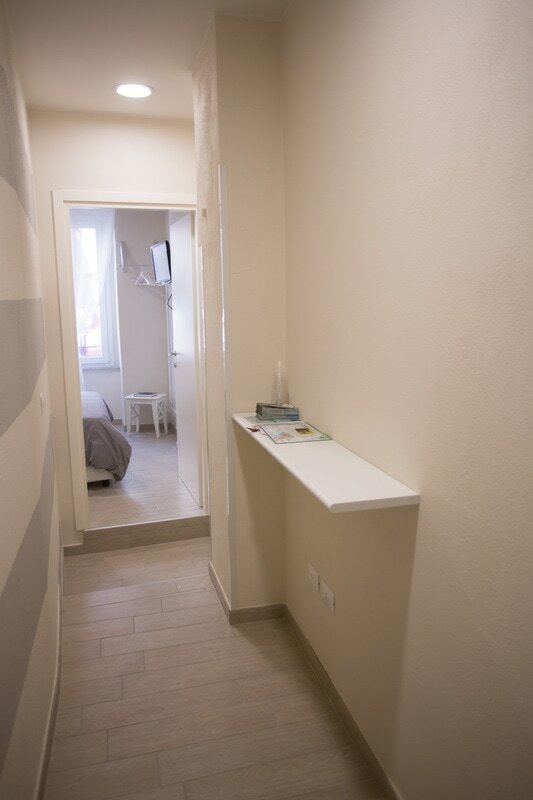 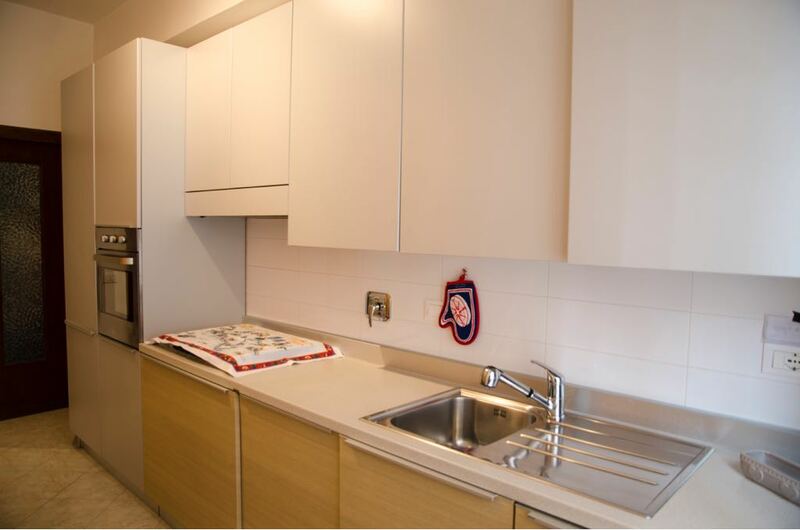 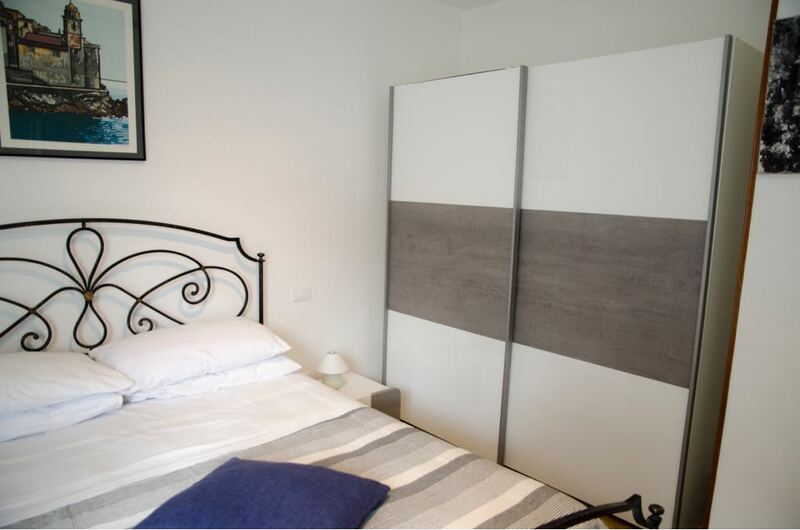 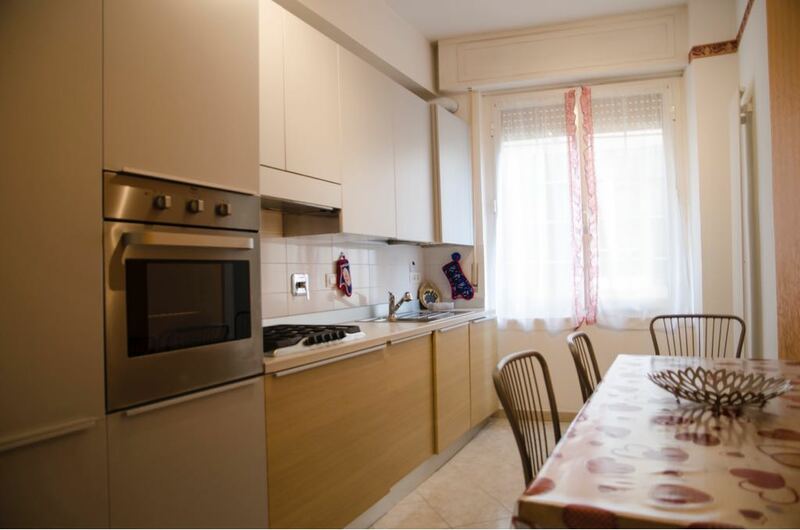 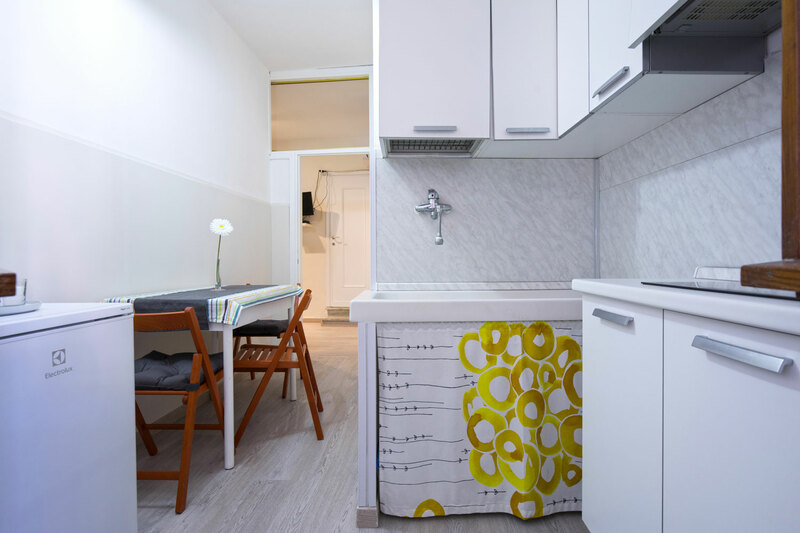 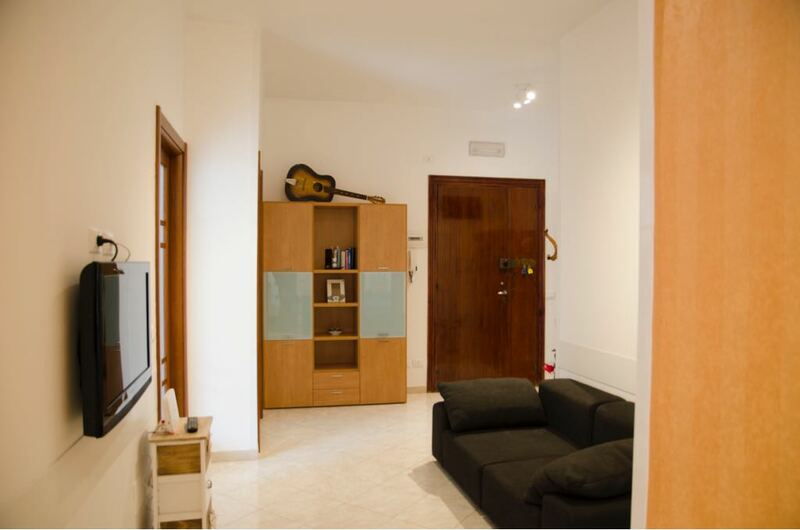 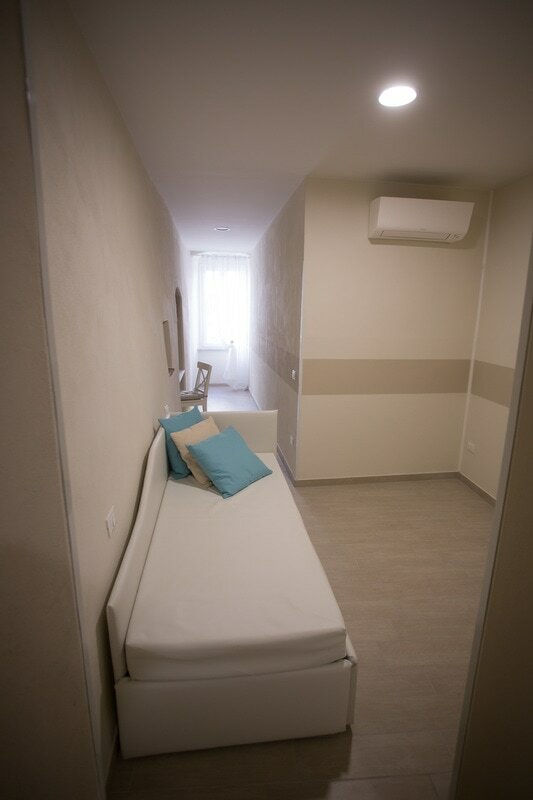 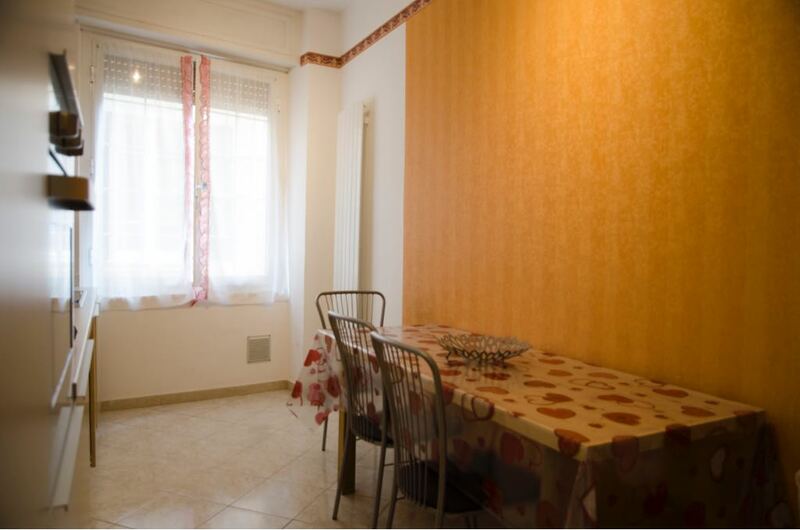 One of the more spacious apartments in Riomaggiore, this newly remodeled 3 bedroom unit is the perfect home away from home! 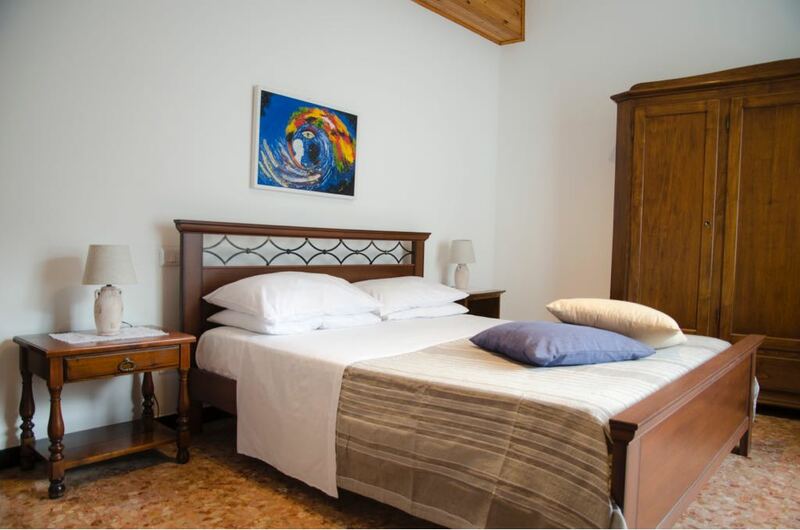 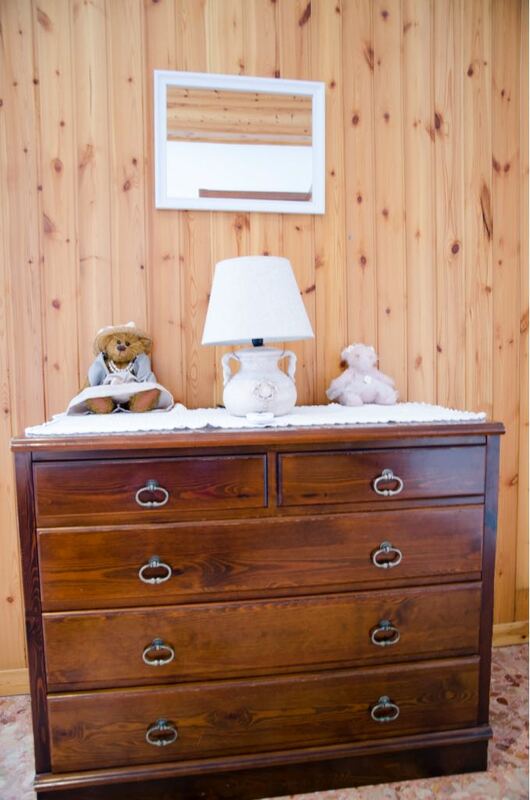 Each room has its own distinct personality – but all relaxed and spacious. 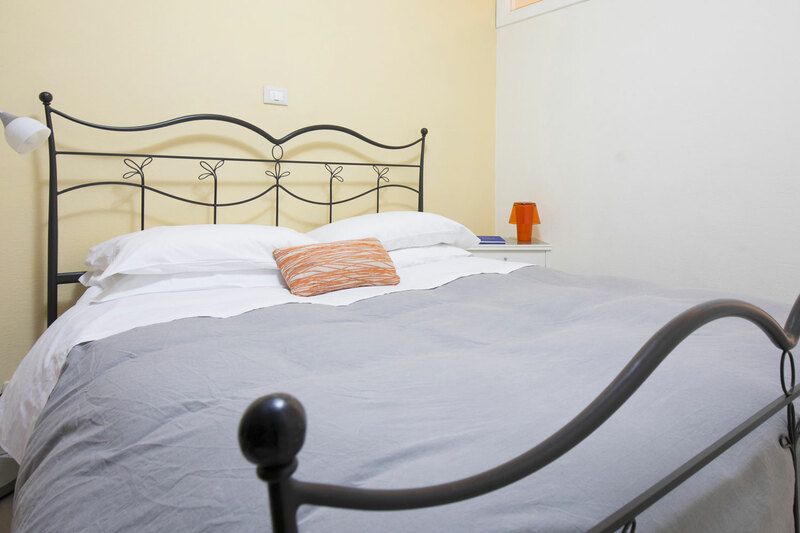 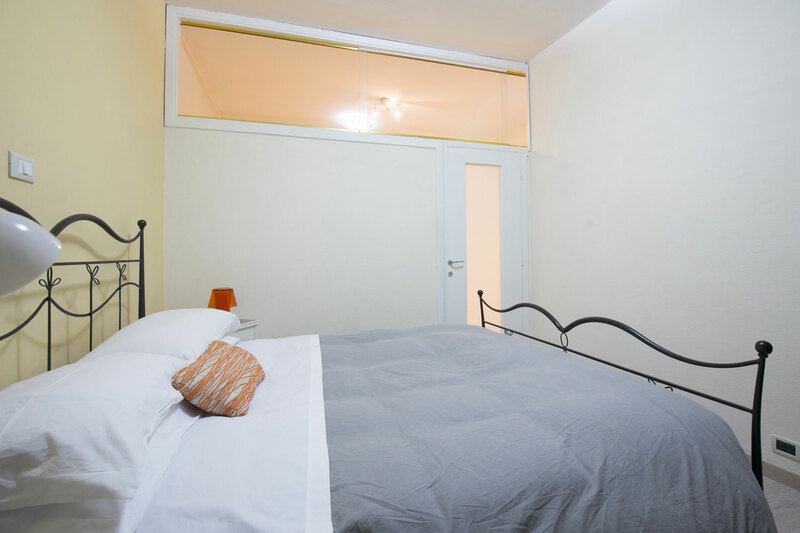 Located within steps from the train station and minutes to the marina. 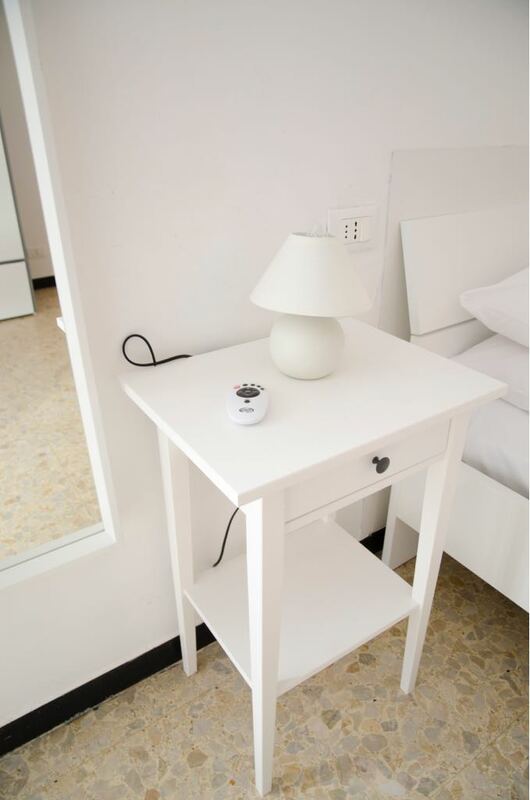 Call, Imessage or Whatsapp us!